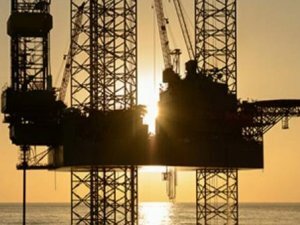 Rowan Companies plc announced that the Rowan EXL III, an EXL Class high specification jack-up rig, has been awarded a six-month contract from Cantium in the U.S. Gulf of Mexico. The contract is expected to commence in early November 2018. The EXL III is currently under contract with Cantium in the U.S. Gulf of Mexico through mid to late August 2018. Rowan is a global provider of contract drilling services with a fleet of 27 mobile offshore drilling units, composed of 23 self-elevating jack-up rigs and four ultra-deepwater drillships. The Company's fleet operates worldwide, including the United States Gulf of Mexico, the United Kingdom and Norwegian sectors of the North Sea, the Middle East, and Trinidad. Additionally, the Company is a 50/50 partner in a joint venture with Saudi Aramco, entitled ARO Drilling, that owns a fleet of five self-elevating jack-up rigs that operate in the Arabian Gulf.